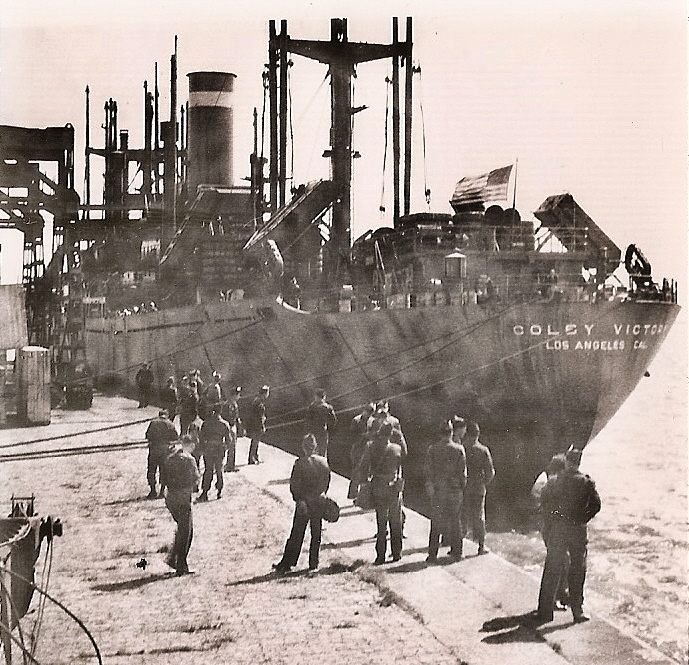 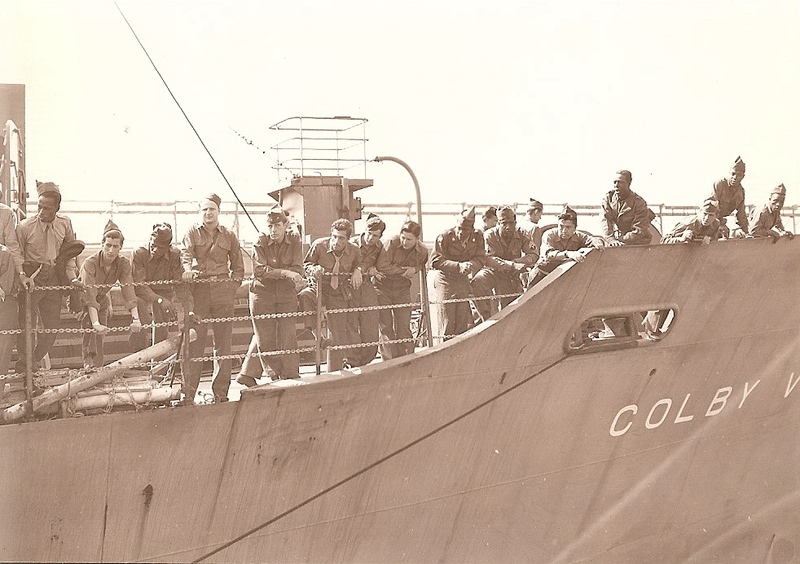 The V50 Colby Victory ship was named after Colby College, Waterville, Maine. 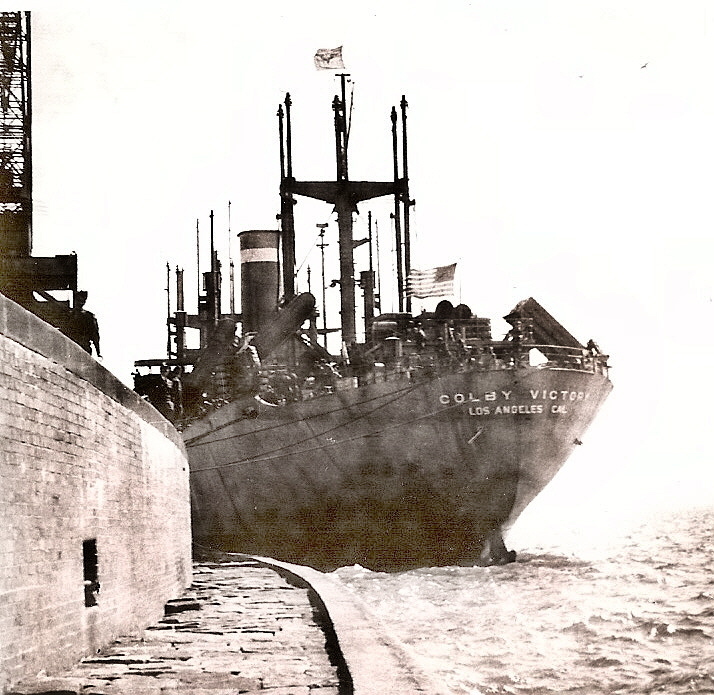 She had service from Mar 1945 till 1947 when she was sold. 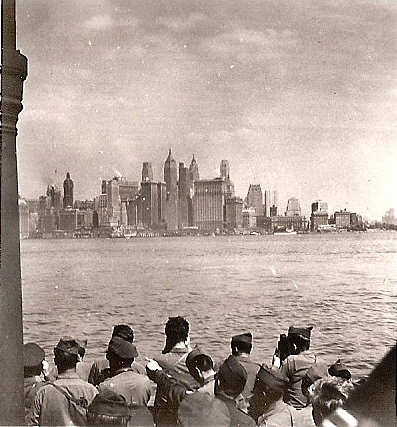 1947 AXELDIJK, Holland America Line. 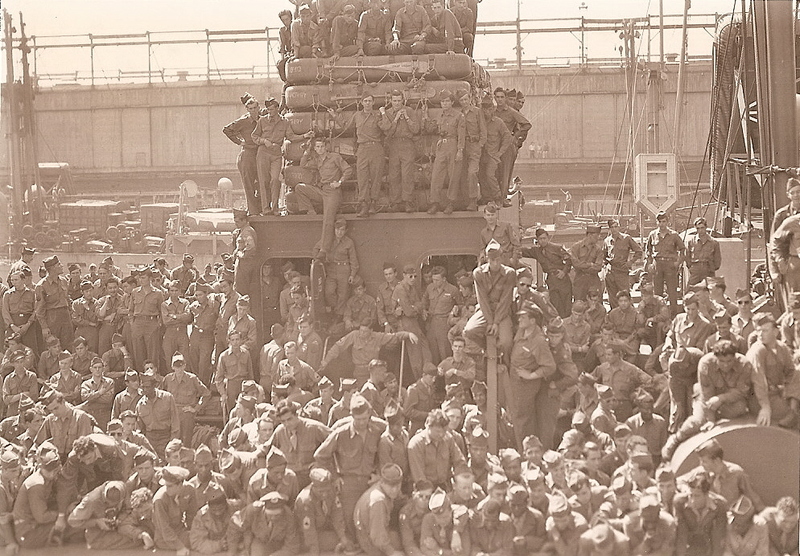 1963 MONIQUE, International Union Marine Corp, Monrovia, Liberia. 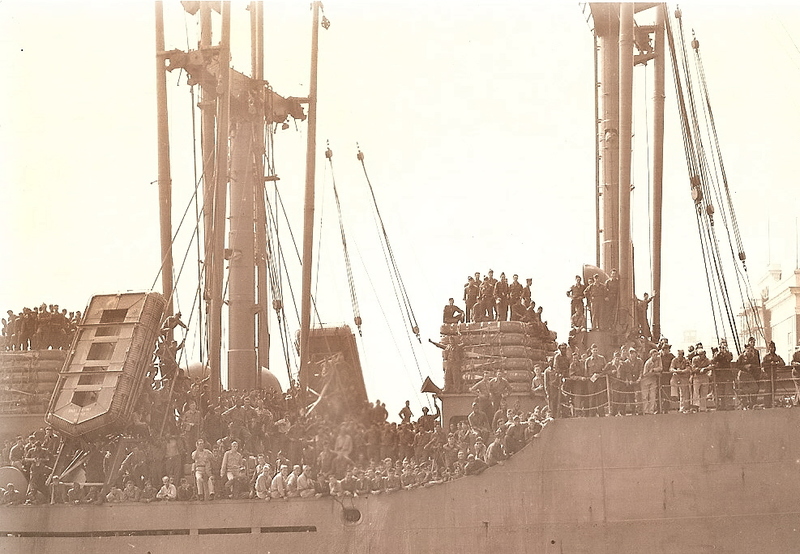 1965 Pacific Coast Shipping Co., Monrovia. 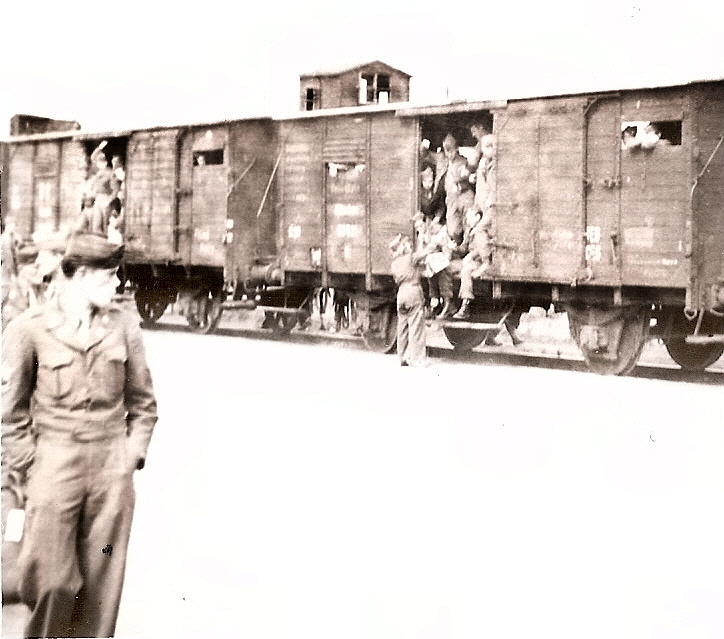 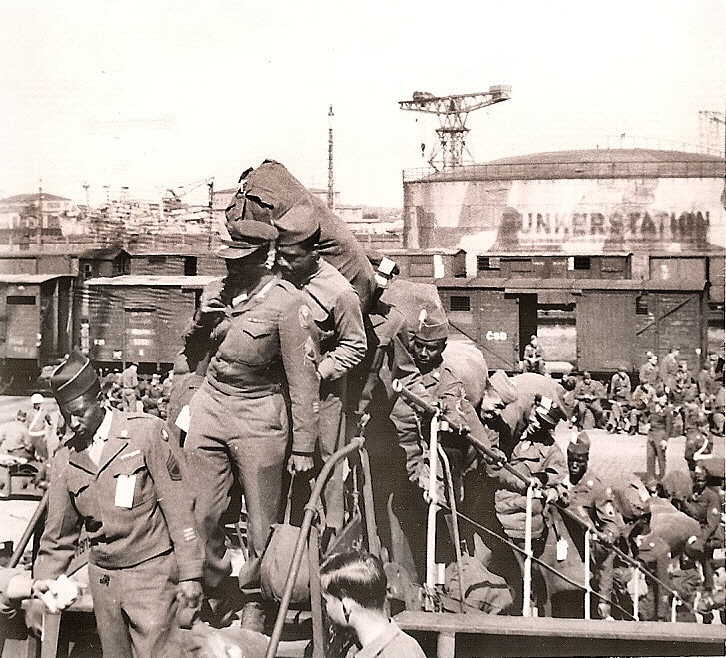 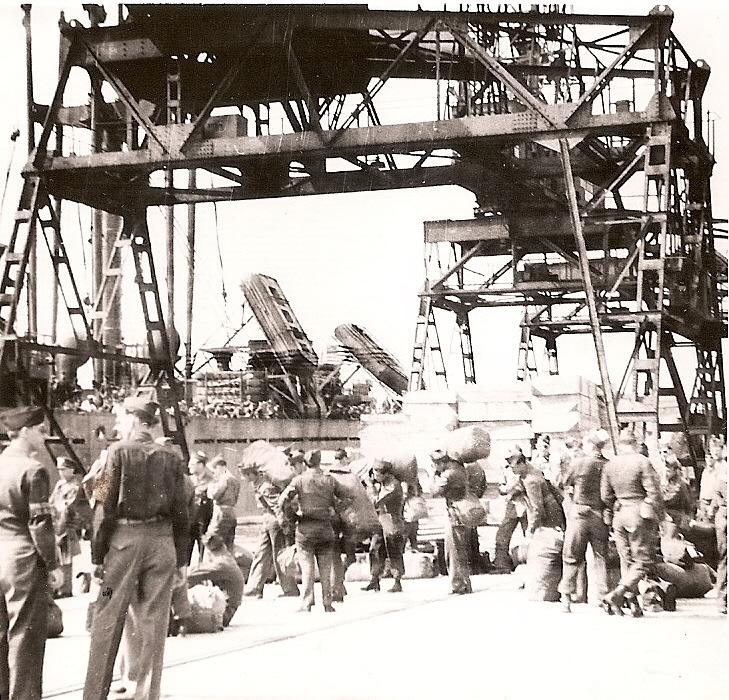 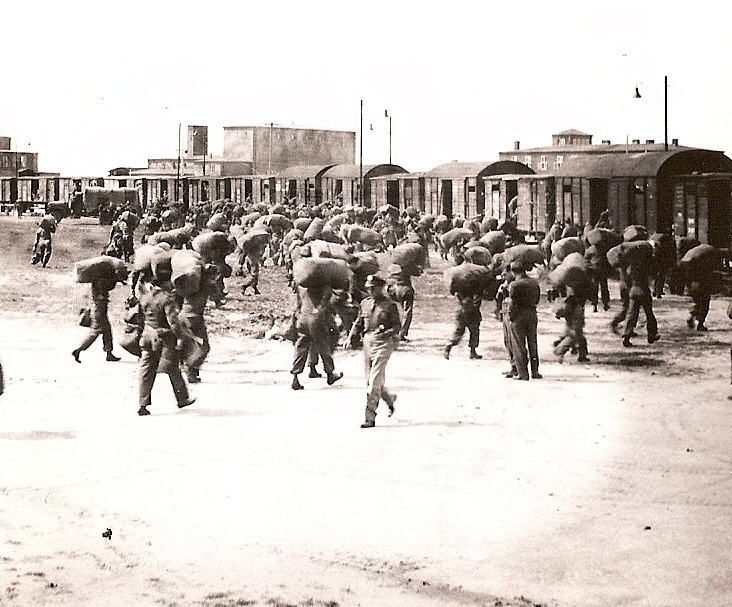 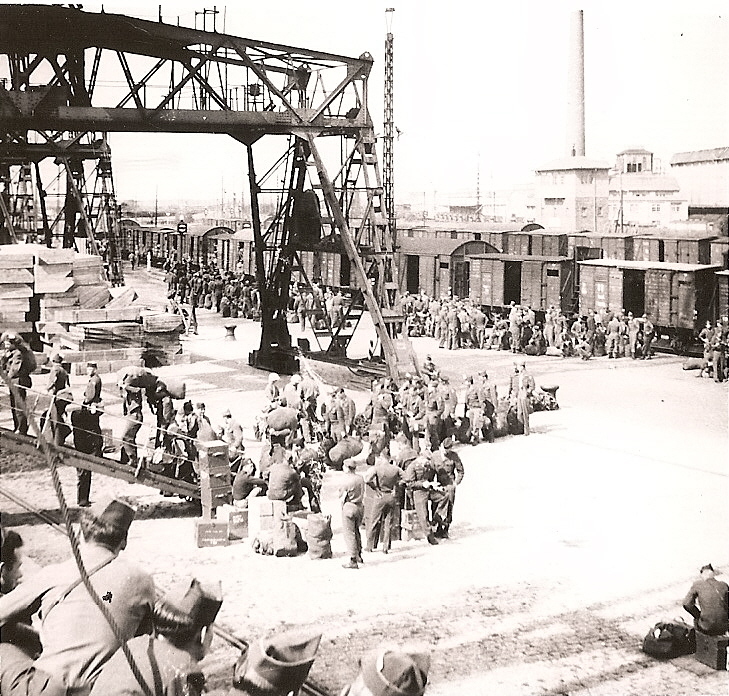 The following pictures were the U.S. troops loading at Bremmerhaven, Germany and their arrival at New York City in the fall of 1946.. 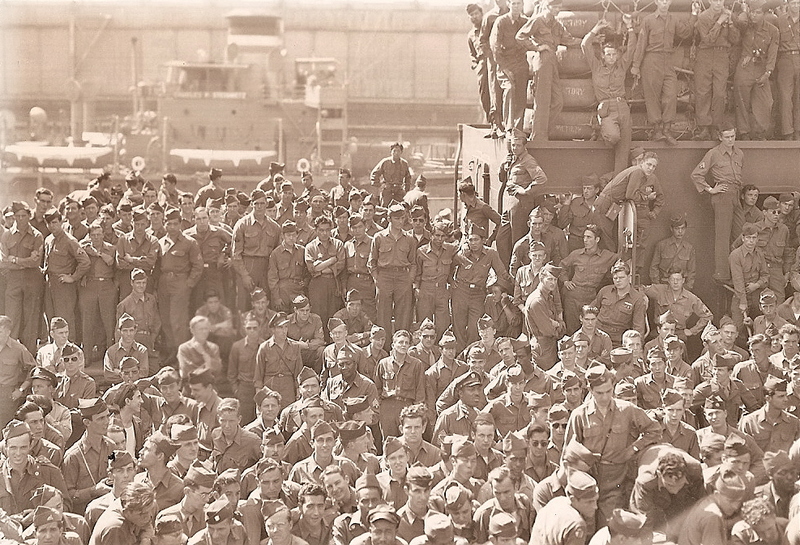 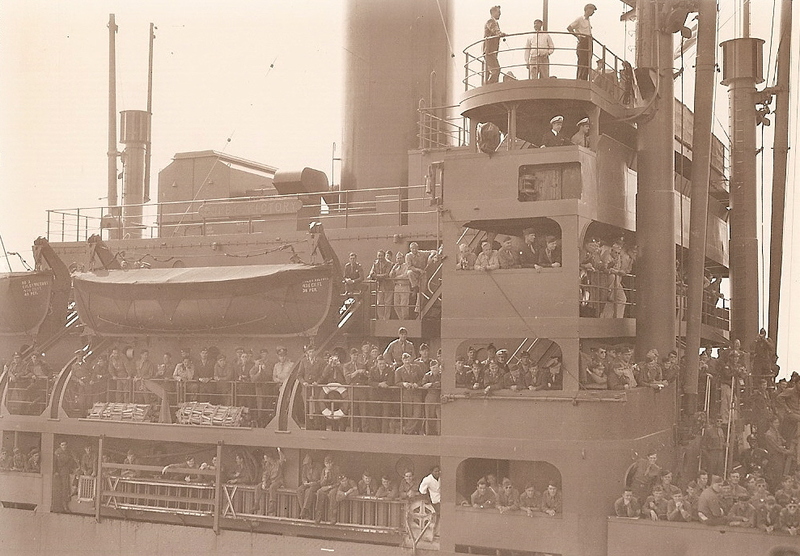 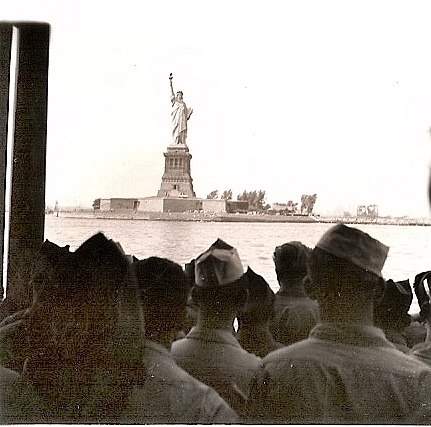 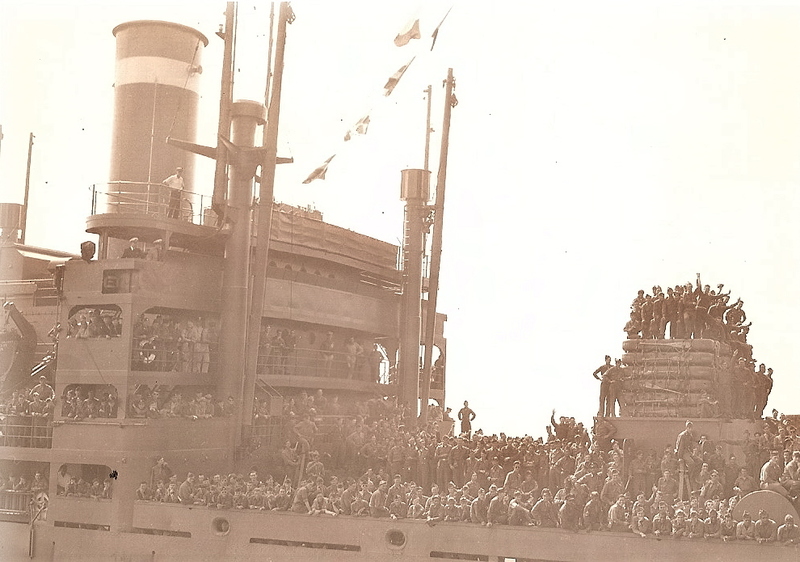 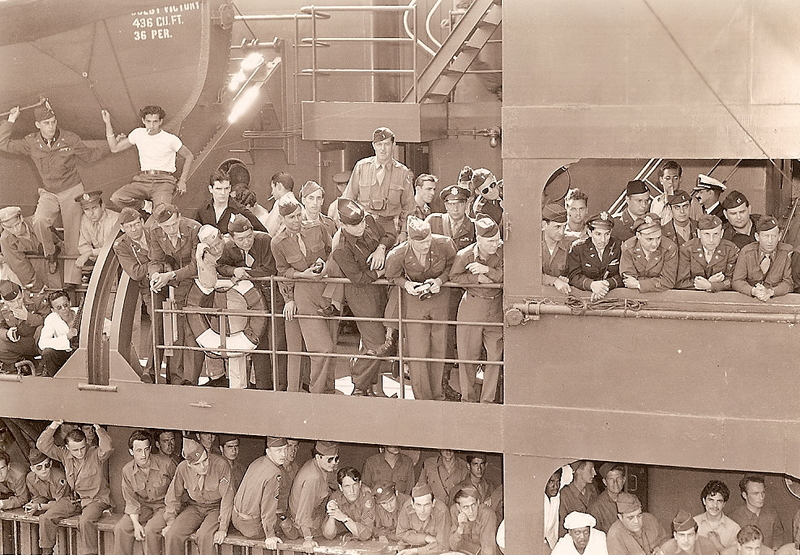 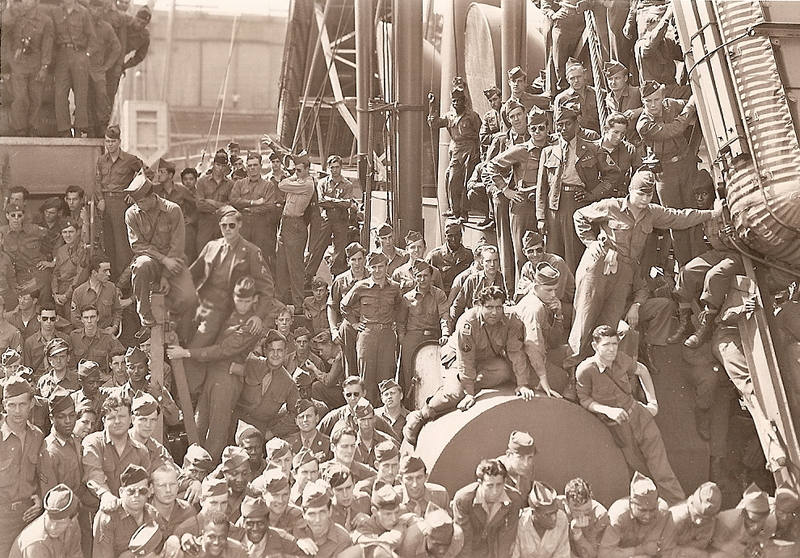 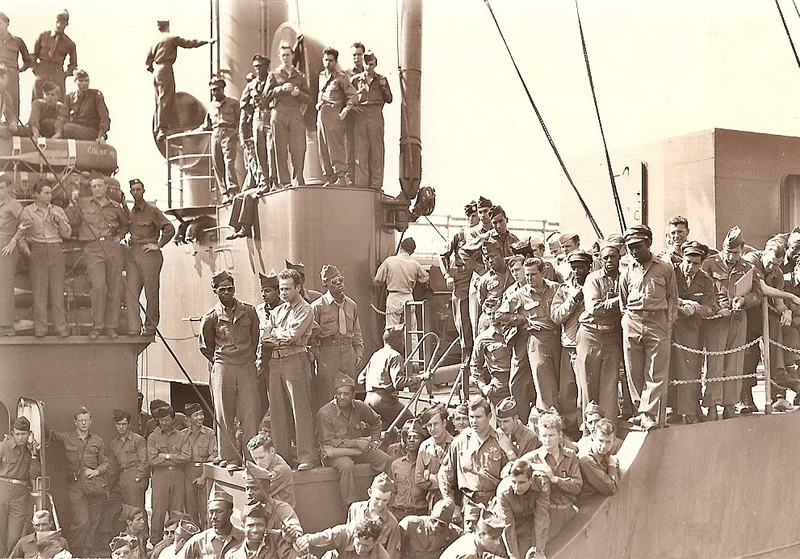 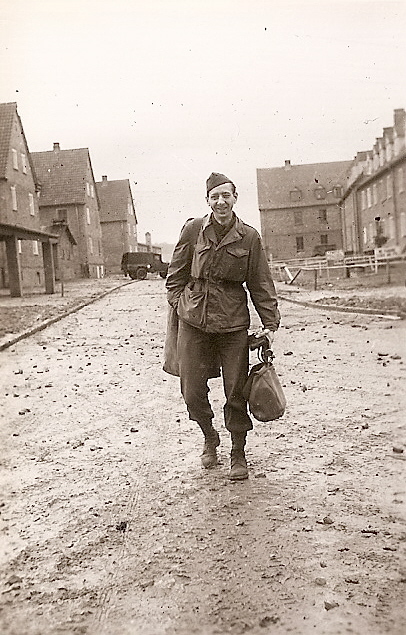 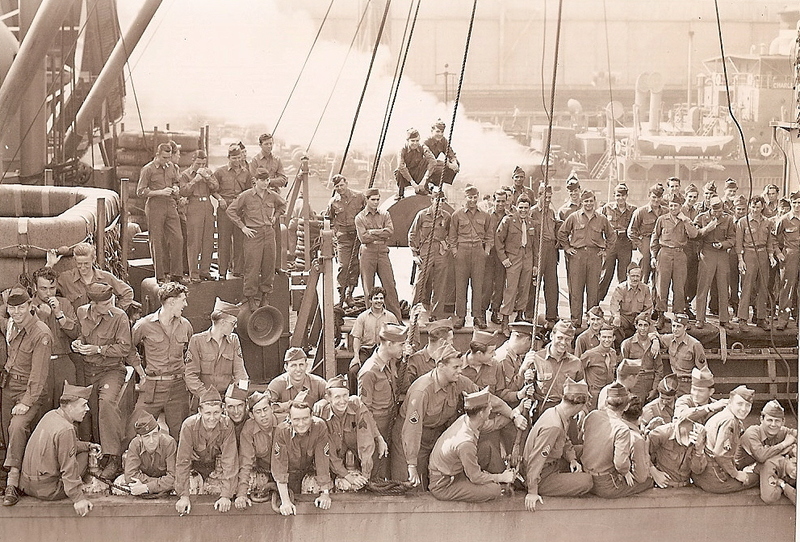 The pictures were taken by Jack Howard Holle (1917-1990) who was on the ship returning home. 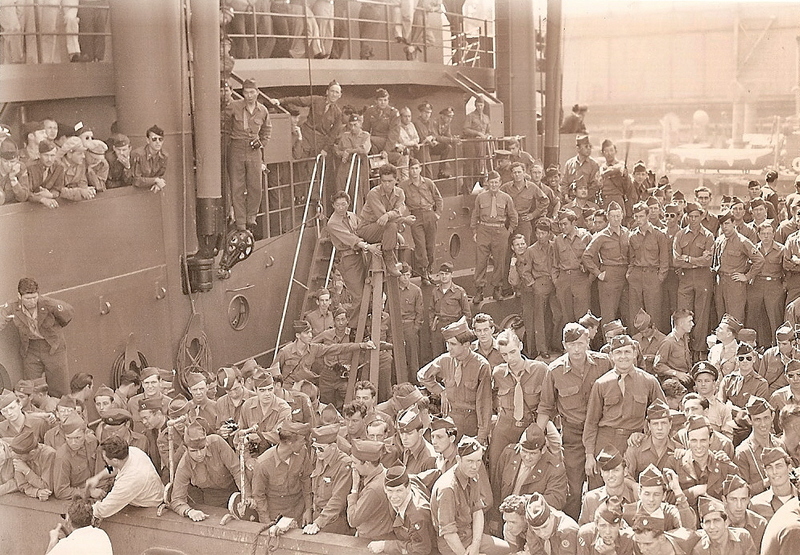 A special thanks goes his daughter Sibyl Holle Sadowski who sent me the pictures..